One more milestone - Elmeasure - proves that one of the best energy management system providers is multi channel DC Energy Meter Load Manager. 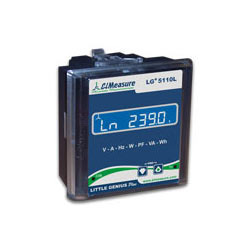 It measures the 4 channels of common voltage, current,watts,enegy independently. It has an optional AH and load hrs which enable better load study. 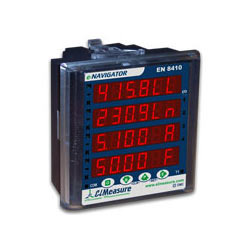 Elmeasure's range of basic digital meters provides the user with features required to monitor and measure electrical parameters like Current, Voltage, and Frequency. 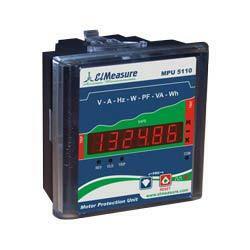 The meter is built on a technologically advanced circuitry for accurate measurement of the input signal. True RMS and user programmable password protection come as a standard feature. A powerful optional feature is two digital outputs that can be programme for threshold of upto six parameters. 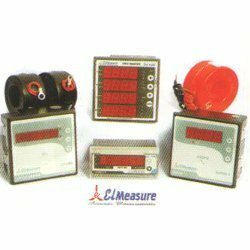 The basic meters have wide range of applications such as AC & DC measurement, equipment monitoring, Genset, Solar, and UPS applications etc. We extend a quality complaint range of Intelligent Earth Leakage Relay (iELR) that is widely acclaimed for high performance micro controller based IELR peak detection and value displays. It comes with a 4 digit 7 segments RED bright Digital display that makes it very user friendly. This range is preferred for its faster and reliable protection against expensive equipments. 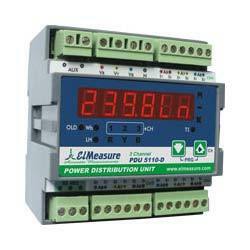 Our range of Demand Monitor & Demand Controller is widely used to manage power with optimum utility. Its exceptional feature of Time of Tariff for energy and demand optimizes the usage of energy. This range is capable of calculating demand as per the parameters set in the industry. It also have under its sleeves tools to measure demand using Sliding window & Fixed (Block) window, Forecast demand control & Step wise Demand Control methods. 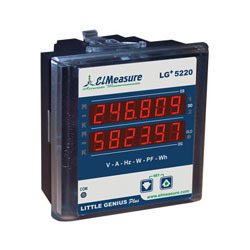 We here bring High Power Analyzer Load Manager Data Logger with reverse lock option user programmable for positive energy accumulation that enables the user to navigate the full scope of an electrical network and empowers to manage power efficiently. They find their utility in the protection of equipment from Under/Over Voltage or Current or Frequency and also the protection of 3 phase equipment from Single phase prvention and Overload etc. Input voltage: 4 Voltage inputs (VR, VY, VB, VN), Programmable 110 or 415V LL Nominal, (Range 80 to 550V LL), Primary Programmable up to 999 kV, Burden: 0.2VA Max. per phase. Input current: Current inputs (AR, AY, AB) 50mA - 6A, (Field configurable 1A or 5A), Primary Programmable up to 99 kA, Overload: 10A max continuous, 50A max for 3 sec, Burden: 0.2VA Max. per phase. Programmable - Energy display counter based on resolution base. Communication: RS485 serial channel connection, Industry standard Mod bus RTU protocol (RS232 optional), Baud rate: 2400 bps to 19200 bps. (Preferred 9600 bps), Isolation: 2000 volts AC isolation for 1 minute between communication and other circuits. Weight: Unpacked: 300 gms, Packed: 400 gms. El Measure has adopted the philosophy of striving for continuous product innovation. 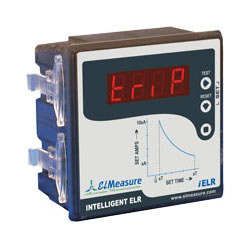 This is the first time in Elmeasure history to develop the device in tariff construction. Like all other Meter this also has lots of unique distinguishing properties. The design is completely micro controller based thus provides effective solution to the electrical service providers. System that is provided with Multi Channel Load Manager Power Unit System, 3 channel or 9 channel single phase electrical information and is also available in two different constructions (96x96 mm panel meter or 90x90 mm Din Rail). They provide three times faster data communication to the SCADA/Energy Management Software that saves critical panel space, reduces cabling and best of all reduces the cost of the panel substantially. With the open mod bus protocol, the PDU can interface any system, such as building management, HMI etc. They find their utility for remote reading and control, the PDU is supported by EL Net Software, designed for remote setup and data viewing and analysis. 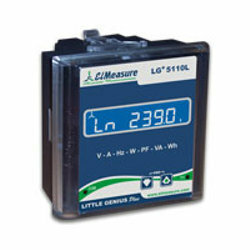 This Dual Source Energy Meter is highly useful product required to measure dual power source like EB and DG in all industries. This system is primarily used to replace two energy meters recording data from different sources of energy. It requires only potential free contact from AMF or 240V, and comes with an automatic switching of display based on the input source. Input voltage: 4 Voltage inputs (VR, VY, VB, VN); Programmable 110 or 415V LL Nominal (Range 80 to 550V LL), Primary Programmable up to 999 kV, Burden: 0.2VA Max. per phase. Input current: Current inputs (AR, AY, AB) 50mA - 6A (Field programmable 1A or 5A), Primary Programmable up to 99 kA, Overload: 10A max continuous, 50A max for 3 sec, Burden : 0.2VA Max. per phase. Communication: RS485 serial channel connection, Industry standard Modbus RTU protocol (RS232 optional), Baud rate: 2400 bps to 19200 bps. (Preferred 9600 bps), Isolation: 2000 volts AC isolation for 1 minute between communication and other circuits. Little Genius Plus (LG+) - LG+ 5220, LG+ 3220. 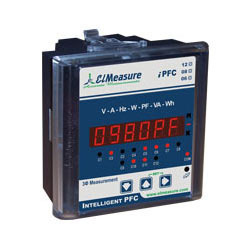 With the active support of our expert team, we are engaged in offering a wide range of services in the field of Digital Panel Meter. 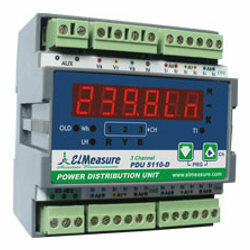 The Digital Panel meters are suitable for various electrical parameters such as voltage, Current, Frequency, Power factor; wattage (Power) services are offered in both individual & in combine form as Multifunction Meters, Demand Controller, Load Managers, Electronic energy meters & Portable Analyzer. These services are suitable for Energy Management & Energy audit for complete analysis through user friendly software. 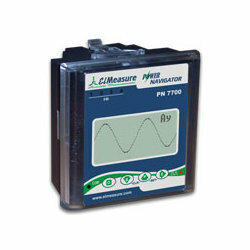 Elmeasure as a trend setter, it has once again come up with setting a benchmark in the field of instrumentation. Elmeasure’s Motor Protection System is a total care for your motors which gives max protection through more features by monitoring various parameters meticulously. It is a universal solution to safeguard motors against various problems. Frequent fluctuation in line voltage or over loading the equipment / motor leads to failure. Mechanical wear and fear causes the motor to work inefficiently or burn. Elmeasure's Motor Protection System is a multifunction system providing comprehensive and easy to define motor protection, monitoring and control. The system offers a continuous reliable protection of motors / equipment against abnormal voltage, overload, frequency, PF, single phasing, unbalance loading of voltage and current, neutral current, phase reversal, winding short, etc. A Multi Channel Load Manager that provides 3 channel or 9 channel single phase electrical information and is available in two different constructions (96x96 mm panel meter or 90x90 mm Din Rail). A technological wonder that provides the customer with 3 times faster data communication to the SCADA/Energy Management Software, saves critical panel space, reduces cabling and best of all reduces the cost of the panel substantially. Multiple PDU's can be cascaded to measure multiple channels with a maximum of 15 channels in a series with common display unit making up the Power Distribution System (PDS). The system also allows the user to have multiple meters placed in the panel with a single display unit placed at a remote location. Building Management System: With the open mod bus protocol, the PDU can interface any system, such as building management, HMI etc. 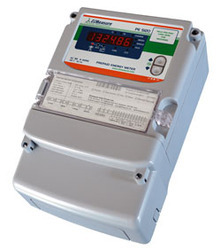 Our range of Dual Source Energy Meter is used all across the nation to replace 2 energy meter recording data, irrespective of the source of energy. 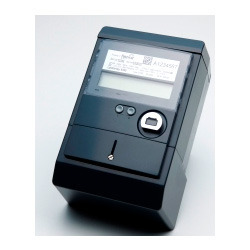 It comes with a relay output option that is meant for prepaid metering. One can set values in it with individual load hours for both energy sources and it starts working. It is available in 4 row tiny master, single row little genius series and Little Genius Plus (LG+) - LG+ 5220, LG+ 3220. Our clients can demand from us a sophisticated range of High Profile Power Analyzer. It is capable of navigating full scope on electrical network and managing power efficiently. Owing to its versatile and unmatched features and functions, this range is widely demanded in the industry. It is capable of monitoring, profiling, recording, controlling, data logging, protection and quality check of any electrical system. Looking for Elmeasure Data Manager ?